Brazil is South America’s largest and most influential country (roughly the same size as the continental USA). 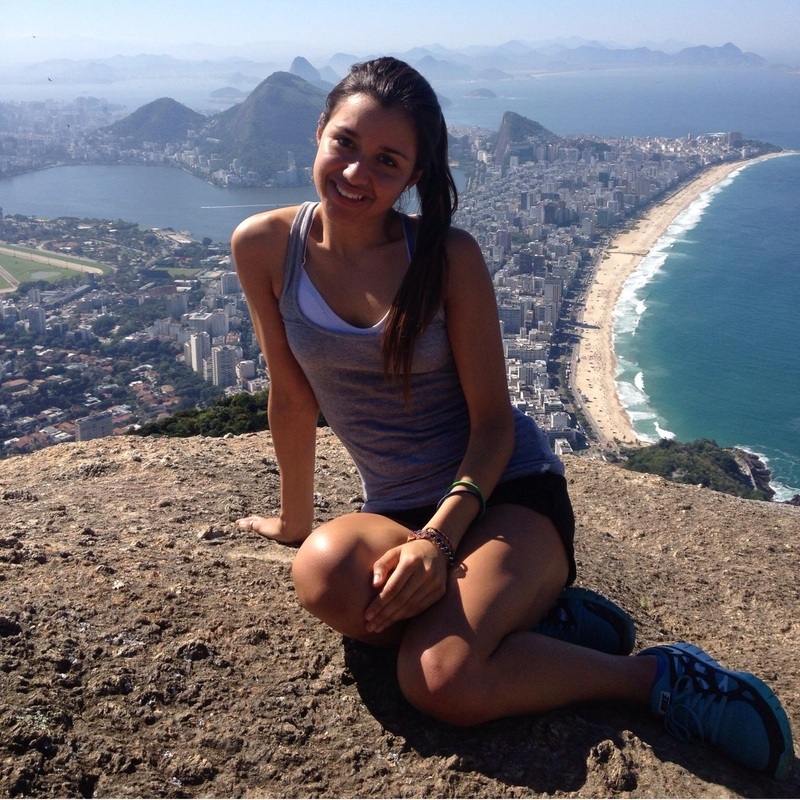 With vast regional differences in culture, food, music, dance and economy, Brazil is a country that can best be understood by traveling across it -- For this reason, all of our Summit Study Abroad programs involve serious traveling -- not as weekend trips, but as an integral part of our program! 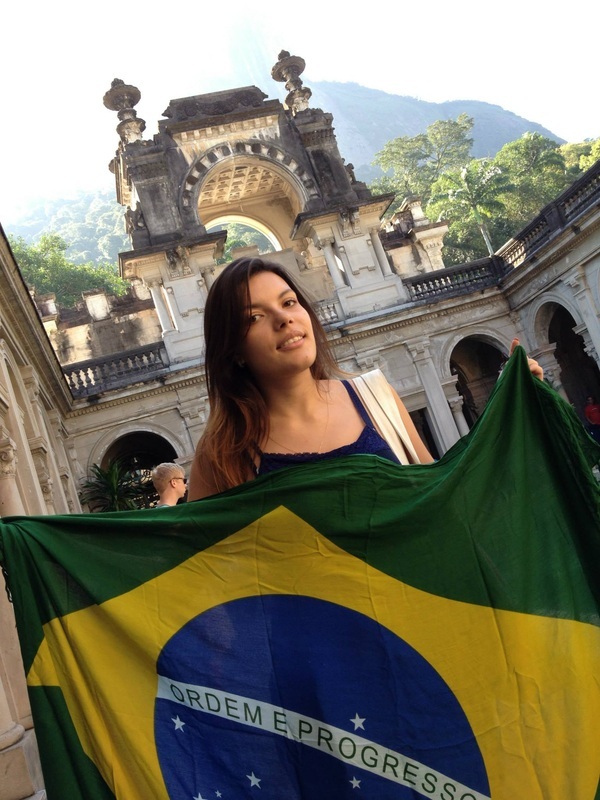 On our upcoming program in Brazil, students will travel from Sao Paulo to Paraty (a UNESCO World Heritage candidate city along the "Costa Verde") and on to Rio de Janeiro, and will have a chance to first-hand witness the great diversity that Brazil has to offer. The May program in Brazil will begin in Rio with a welcome ceremony and a few days for orientation. 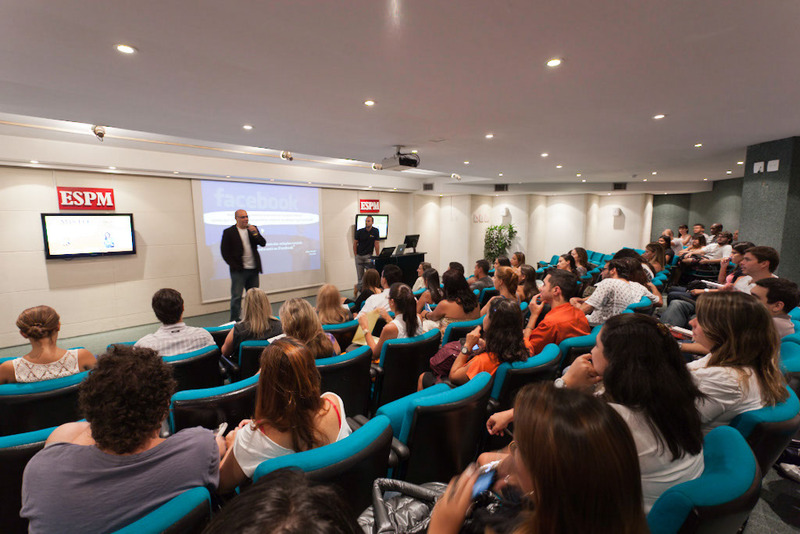 Then, we will travel as a group to Sao Paulo, the financial and cultural hot-spot at the heart of the Brazilian economy for about two weeks of classes on campus of ESPM, the #1 ranked marketing and communications school in Brazil. 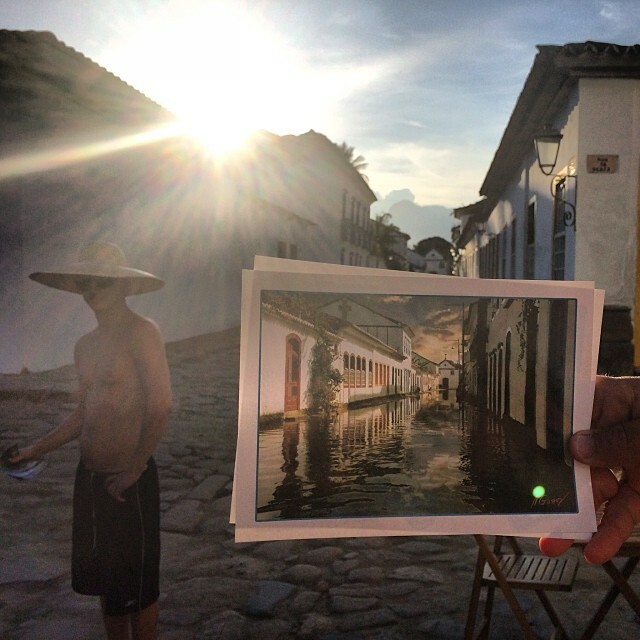 Then, our group will travel together to Paraty, a colonial gem on the coast between Sao Paulo and Rio, where we will spend a few days getting to know the history of Brazil from a colonial perspective. 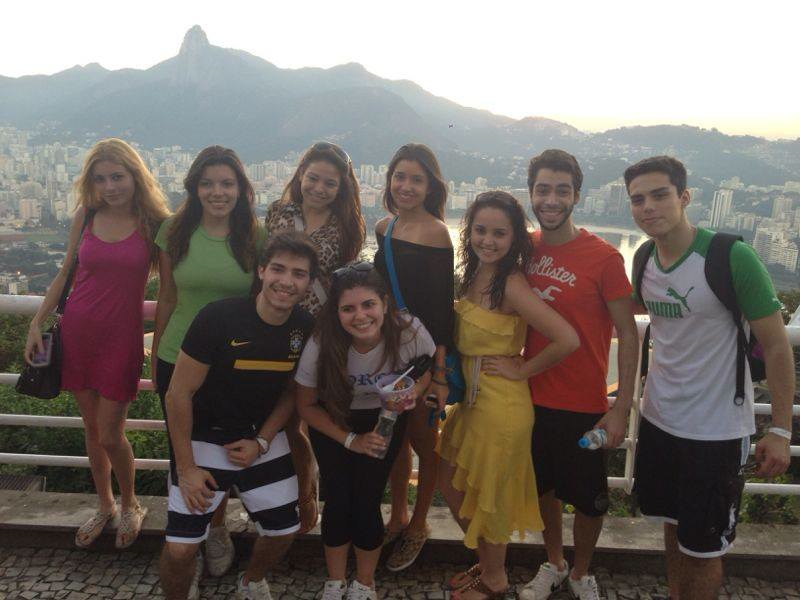 Finally, our group will travel together to Rio de Janeiro, and will have classes on campus at ESPM, and will enjoy approximately two weeks of professional visits to companies, and cultural activities in Rio before flying home. Students should arrive early in the morning on this date, and be ready for a welcoming opening ceremony at 2pm. On the start date of your program, you can request to be greeted at the airport by a friendly Summit representative who will offer you a brief orientation, and help arrange transport you to your accommodations. The cost for this service is $50 and needs to be arranged at least one week prior to your arrival date. If you are arriving on the same flight (time, date), the fee can be shared among students. This fee does not include transportation costs (taxi) to get to the accommodations. Students will take a taxi to their accommodations, and should budget approximately $80 for this taxi (which can be shared among students arriving approximately at the same time). Before attending the opening ceremony at 2pm, students may go drop their bags, take a shower and relax. We will have an opening ceremony from 2pm - 5pm at a the conference center", located on the Pestana Hotel. Students will begin congregating at the conference center at 130pm to share in drinks, snacks and conversation with fellow students and professors. During the opening ceremony, we will introduce all of the professors and staff, go over the safety orientation, and give a brief "Introduction to Brazil" lecture. This session will include a special "First impressions talk"; to help students with a first perspective about the Brazil and it’s culture. Understanding the city map, public transportation, safety, will be some of the topics discussed! After the opening ceremony, students will have some free time to relax and to explore some of the nearby neighborhoods. Free Morning - We recommend you to go for a short walk to Paulista Av. One of the most important financial districts in the country. Walk around, visit the MASP Museum ( with famous masterpieces from all over the world) and have lunch before the afternoon class. Tonight we go visit two places. First a quick stop at the Roof top of the UNIQUE Hotel to appreciate de View and some appetizers. Afterwards we will go by cab to Vila Madalena. A young energetic neighborhood filled with bars, disco and night life. MORNING ACTIVITY: SP DOWNTOWN walking tour. AFTERNOON POSSIBILITIES - OUT AT THE PARK, SHOPPING AT OSCAR FREIRE, MUSEUMS WITH THE GROUP. MEETING POINT: 14:00 at ESPM entrance. In the afternoon students will have a chance to participate in a Downtown’s walking tour, which will lead students to the Teatro municipal, Biblioteca Nacional, Praça xv, Igreja da Candelaria, Lapa, Arcos da Lapa, escadaria da lapa, confeitaria Colombo and more. This tour will give a very good idea about where some of the most important museums in the city are located so students can easily go by themselves at a later time. At 15:00, we will be visiting the world headquarters of H-Stern to learn about this important Brazilian jewelry company with a lecture from HStern management to discuss the challenges of internationalization. Class day at ESPM - Classes at the university in the morning. If you are coming on a student Visa, we recommend you schedule your appointment today, after 14:00 so you don't miss any activities. MEETING POINT - 14:00 in class room for the Professional Visit presentation! Students will be taken to "Cidade do Samba" (Samba City) for a guided professional tour and discussion about the business of Carnival. Today we will have the opportunity to enter Tijuca's National Park and do a little hike (15 minutes) to one of it's water falls. No climbing shoes or experience required. Fell free to take your cameras :) No fee. Remember your bathing suit! In the evening, students will have free time. We will recommend a dinner in Rio’s newly renovated Lapa district at Rio Scenarium. An antique gallery by day, the restaurant becomes a classic Rio dance hall at night, filled with a festive mix of Brazilians and foreigners enjoying the traditional samba and a variety of other Brazilian beats. No class today. Free day! Today we will visit one of the main Samba Schools in town, during the afternoon you can try the traditional FEIJOADA ( One of the most typical Brazilian dishes) and listen to some "old school" samba themes. Tonight we will experience one of the most traditional Street Samba of Rio. "Pedra do Sal" is a historic site where salt use to be traded back in the times of the old Portuguese empire and also the birth place of Samba. Every Monday people getter in this historic site to enjoy a good samba and party. Today we will visit one of the most traditional soccer teams in Rio. Visit it's Head Quarters and trophy room. Recommended night activity: Salsa party at Copa Hostel! Tonight we will visit this bohemian part of town were hundreds of getter at Thursday's night to socialize and have a drink. Every third Saturday of the month, live Jazz and a Hippie Market can be enjoyed during the afternoon at the neighborhood of Lapa . It's a great option if you want have lunch, listen to some live music and watch the locals . 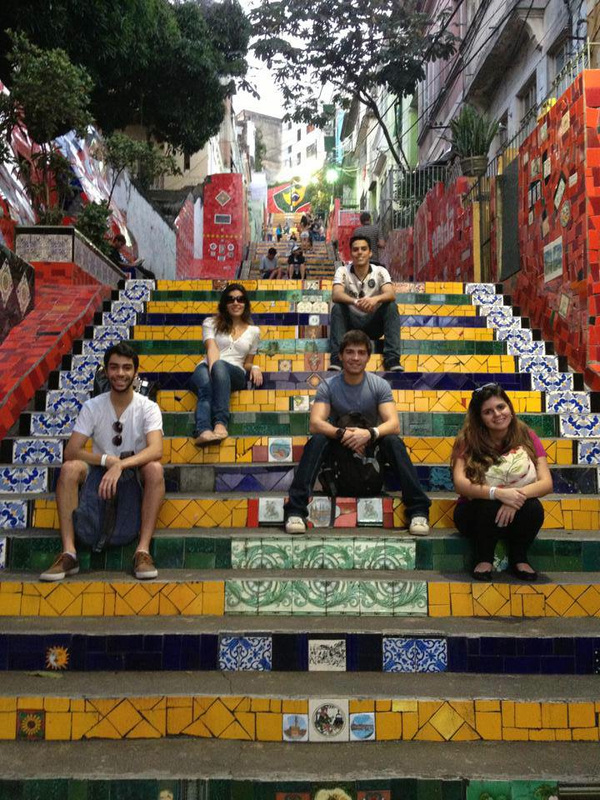 We will recommend a dinner in Santa Tereza, an old and charming district of Rio. It can easily be reached by taking a bus straight from Lapa. 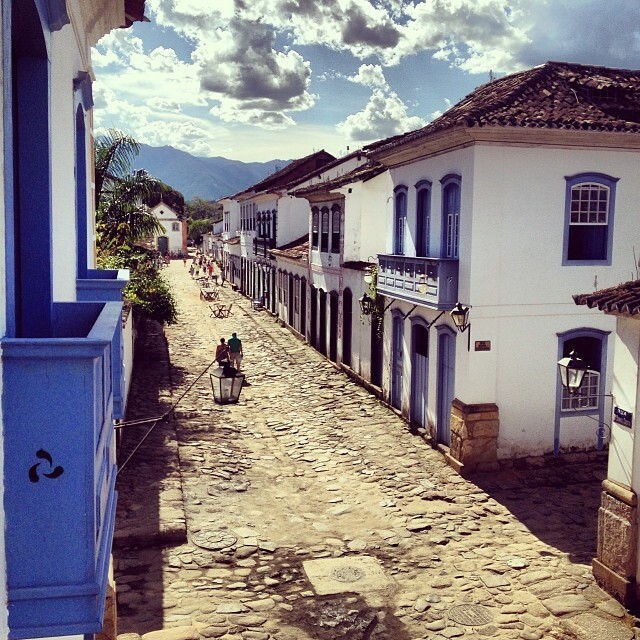 Santa Tereza is a traditional neighborhood filled with restaurants, bars and young people. After walking around "Largo dos Guimarães", you should check the Live Samba at the Flee Market (R$10,00 cover entrance). The day on Sunday is scheduled to be a free time, where students will have a number of options to choose from. Suggested visit in the afternoon to Parque Lage, a famous and beautiful space dating back from colonial times. This area is home to a school of art, different work-shops, and is also a usual site for film making. Famous scenes from the movie: "The Expendables" as well as Snoop Dog's video clip; Beautiful were recorded there. Students who are interested, may also elect to come back here on the weekend for one the most famous breakfasts in town. Today we will have the opportunity to talk with a foreigner hat currently has business in Brazil and clear our doubts about how hard is it to make business here. Be on time, bus leaves at 09:15 sharp!!! Graduation Ceremony - all students attend! 4pm; - graduation "happy hour" event for A1 - "Lagoon", Bar do Portugues, Lagoa -- All students and professors are requested to attend.